In Iowa, Bishops talked about extreme weather and its relationship to Laudato Si’, Pope Francis’ recent encyclical on the environment. In Cincinnati, the local Archbishop used the encyclical to urge Ohioans and public officials to take steps to conserve energy. In other part of the U.S., the Church will consider the implications of Laudato Si’ on issues affecting migrants. In the Diocese of Richmond, home to a large population, coastal towns, beaches and industry as well as the world’s largest naval installation, the Church is paying close attention to the encyclical as well. The event is sponsored by the Virginia Catholic Conference, the Diocese of Richmond’s Office of Social Ministry and Catholic Climate Covenant, a close partner of the U.S. Conference of Catholic Bishops, and Sacred Heart Catholic Church Norfolk. The encyclical has generated a global discussion on the intersection of human and environmental ecology and how all are called to be good stewards of God’s creation. Around the world, communities—especially poor communities—are dealing with the devastating effects of climate change brought on by deforestation, air pollution, and an increase in severe weather events. 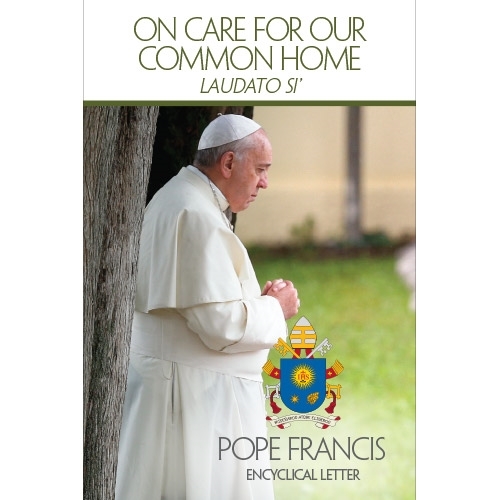 Read the encyclical here. Virginia’s own Tidewater region, an economic driver for the Commonwealth, faces grave threats from sea level rise, including flooded homes and streets as well as threats to the military bases, where the Defense Department is in the process of raising 12 piers at Naval Station Norfolk. Moderated by Jeff Caruso, executive director of the Conference, the Aug. 25 panel discussion will begin with remarks by Bishop DiLorenzo, who will be introduced by Msgr. Walter Barrett, Episcopal Vicar, Eastern Vicariate. Dan Misleh, founding executive director of Catholic Climate Covenant, who will talk about how the Church in the U.S. is reacting to and incorporating the encyclical. If you cannot make it to the Norfolk event, Queen of Apostles Catholic Church in the Diocese of Arlington is hosting “The Gospel of Creations: A New Vision,” a panel discussion on the encyclical on August 19 with Christendom College Graduate School. We hope you will join us as we consider how to apply the Pope’s encyclical to ecological issues, including the effect of rising tides and the climate crisis facing our common home.